GlassTech Termopan starts to be online at this domain www.glasstech-termopan.com. 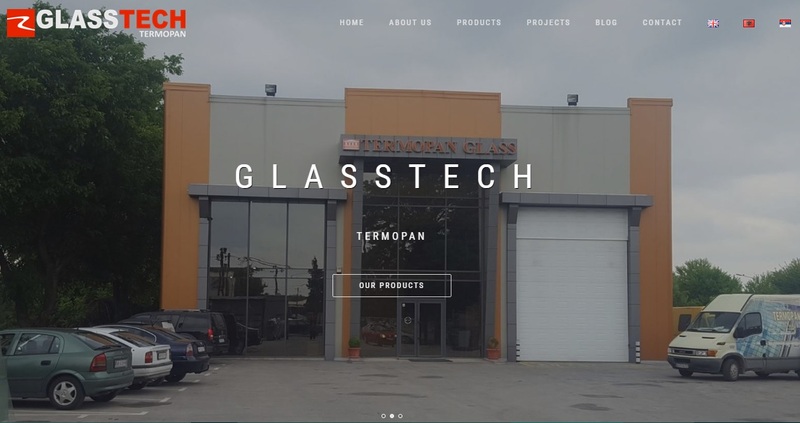 In this web site we have introduced the products, projects, services, advantages, partners, team of employees and innovations of the GlassTech Termopan company. Also the possibility of contact with us as well as the location of the enterprise are presented in a very modern and clear way. This site is responsive, so the appearance of the presentation is very clear on all devices with screens that have different dimensions, such as personal computers, laptops, tablet PCs and smartphones. The feature of this site is multilingualism, so this presentation is in English as the first and default language, then the Albanian language and Serbian language. We hope that this way we will be closer to you.